Going on a date and want something special? Here is a perfect look. I love to do this hair style in the summer, when it's hot and muggy, and I don't want to wear my hear down. 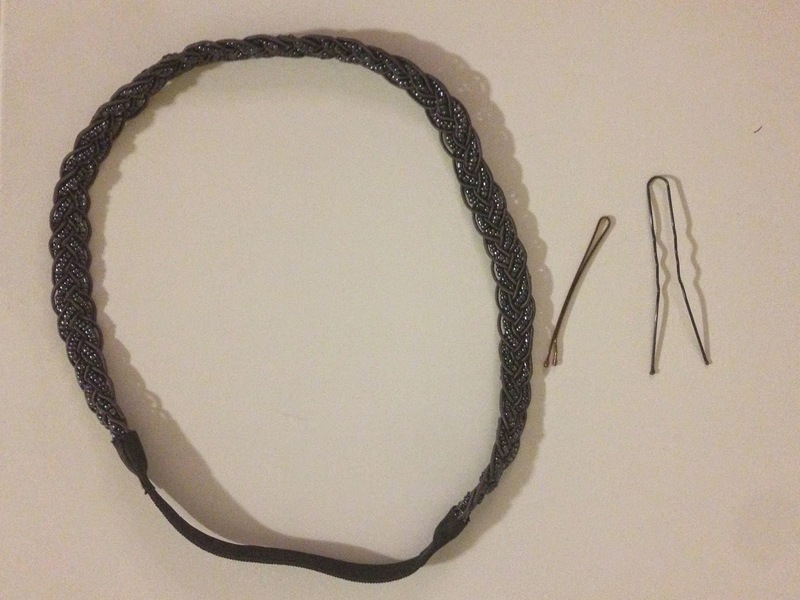 To create the look you will need: hairband with elastic back, bobby pins and hair pins. Put a headband on your head and start from one conner tucking/rolling hair inside the headband. I do left side first, then right side, and then whatever left on the center. That way the sides are looking nice. If you want to create an old fashioned look just put the hairband on your forehead and repeat all the steps.